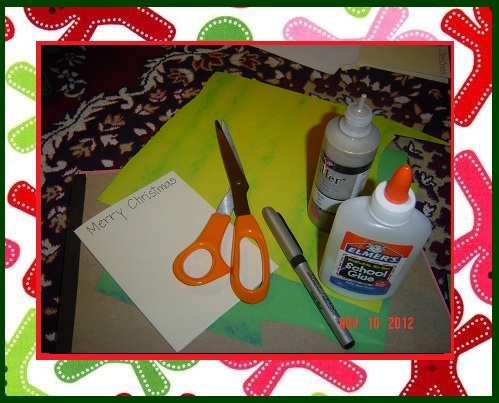 Lets start with my eighth super easy Christmas card. Cut into small strips and then smaller squares or rectangles. Your baby, toddler can help you and enjoy helping you. Stick them to form a tree. Oops! one of my rectangles fell off. 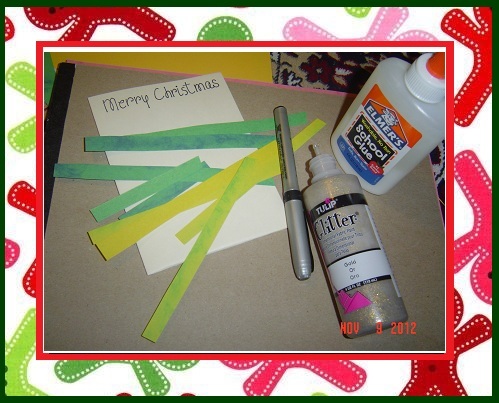 Make stem with thick I and decorate with glitter. 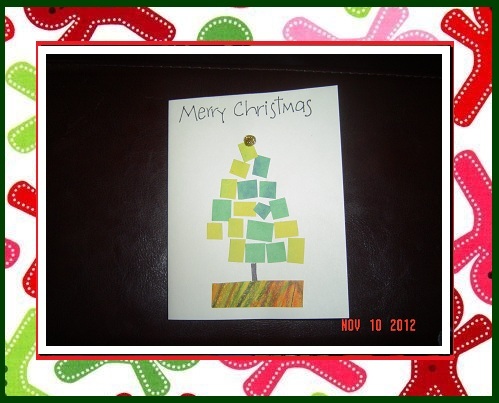 Our Christmas card , made by baby is ready!